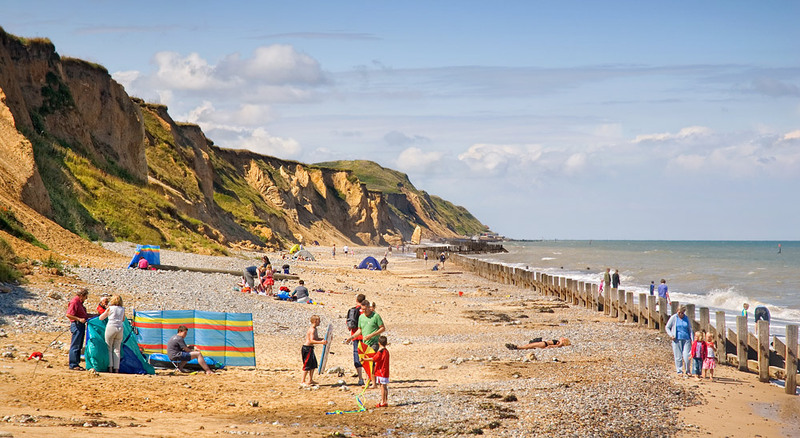 West Runton has become a family favourite throughout the summer months, with long stretches of unspoilt beaches. Sandy in a few places, regular visitors will notice an occasional change in the way the shoreline appears, thanks to where the tide decides to position the numerous collections of stones and seaweed patches, which will sometimes lead to a slightly further walk to find that perfect bump-free spot for your picnic blanket. During low tide, the sea will slowly reveal a hidden landscape that starts with exposure of a few rock pools and extends into crabbing heaven for some – brave beginners beware of sharp pinchers! On an exceptionally low scouring tide you are treated to an ancient foreshore of chalk, clay and rock formations. On closer inspection you will find an abundance of sea creatures, both live and fossilised dating back to Jurassic and Cretaceous periods – Belemnites are a common find (these are shaped like a bullet). Fossils can also be found in exposed areas of the cliff known as the Cromer Forest Bed (which dates back some 500,000-700,000 years ago). Indeed, it was the discovery of a very special find in the early 1990’s that put West Runton high on the geological map. After a particularly stormy winter night, fossilised remains of a large pelvic bone were discovered. Over the next few years as more bones were uncovered it became clear that a major find may be on the cards. An excavation soon revealed the largest and most complete elephant skeleton to date. Now known famously as the ‘West Runton Elephant’ the species was a ten ton Steppe Mammoth that dated back some 700,000 years. A few of the bones can be seen on display at Cromer museum. Photos and text from the excavation can be seen in the West Runton beach Café. 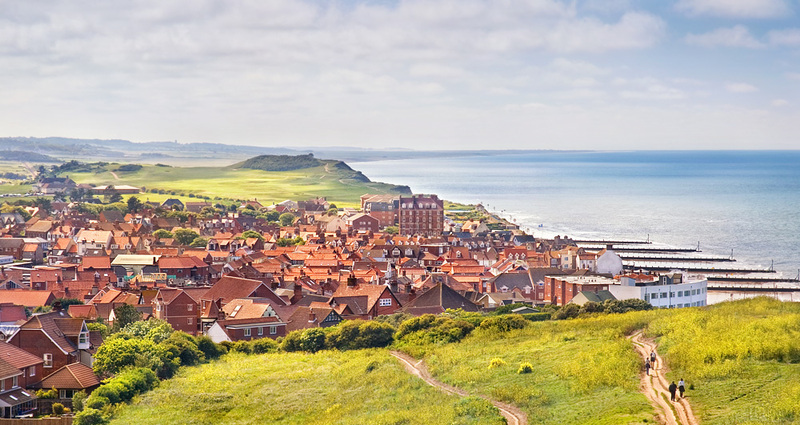 Walk to Sheringham along the cliff top, pausing for a breather at the top of Beeston Bump for a welcome rest with some stunning views of West Runton and Sheringham – particularly special at sunset. Alternatively walk the other direction to East Runton, eventually reaching Cromer (approximately 2 miles). If you fancy a longer walk then follow the Norfolk Coast Path to Hunstanton. Just inland from West Runton village is Incleborough Hill. 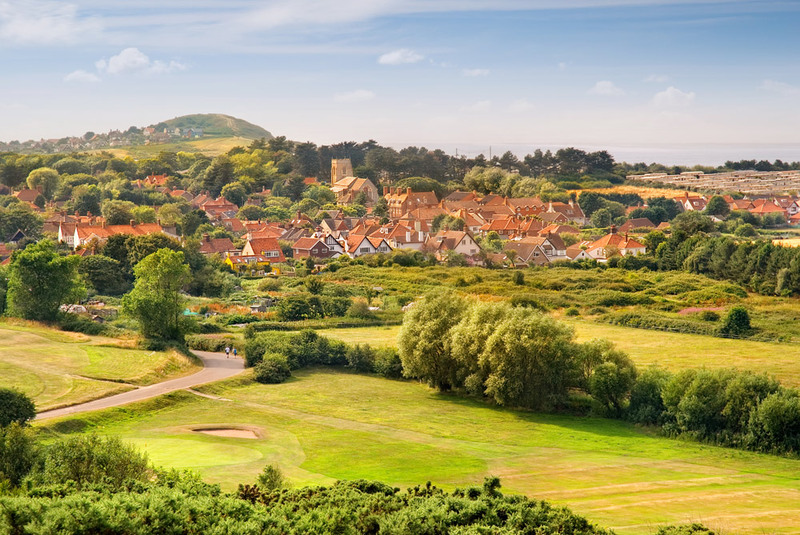 Follow the route from the golf course for amazing views of the village and coastline. On the other side of the hill you’ll be rewarded with fine views of Cromer in the distance. 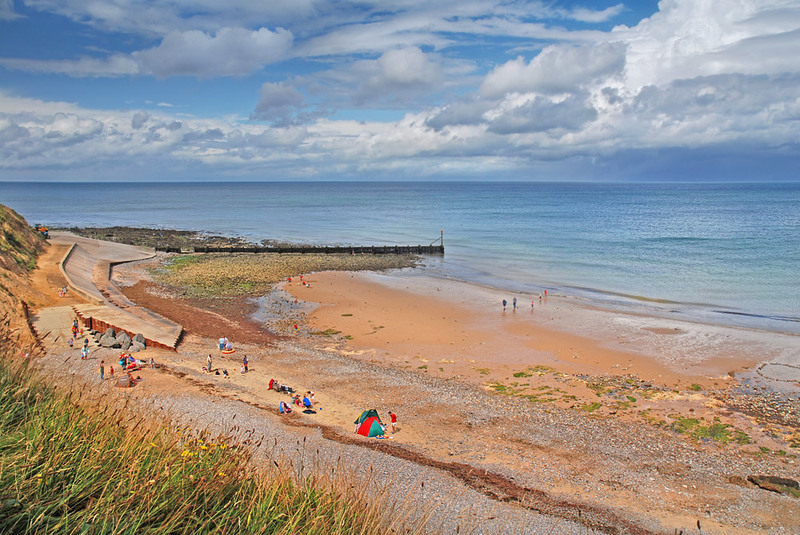 On the beach, try crabbing in the rock pools or hunt for fossils. Away from the beach and near the main road, the Village Inn, with its large garden, is an ideal spot for a refreshing drink, and it serves some very reasonable tasty meals, too. If you love horses then don’t miss the Shire Horse Centre with Shire-Horse pulled rides or take a guided trek out into the local countryside. Visit the beach during Cromer Carnival Week during August (usually on a Wednesday) and you will be treated to the spectacular Red Arrows as they perform amazing stunts and tricks and swoop low over the sea. A large field car park (pay on entry) is available next to the beach. Drive down Water Lane from the Coast Road A149 – it is a narrow junction (next to the Village Inn pub) on a corner so do be careful. 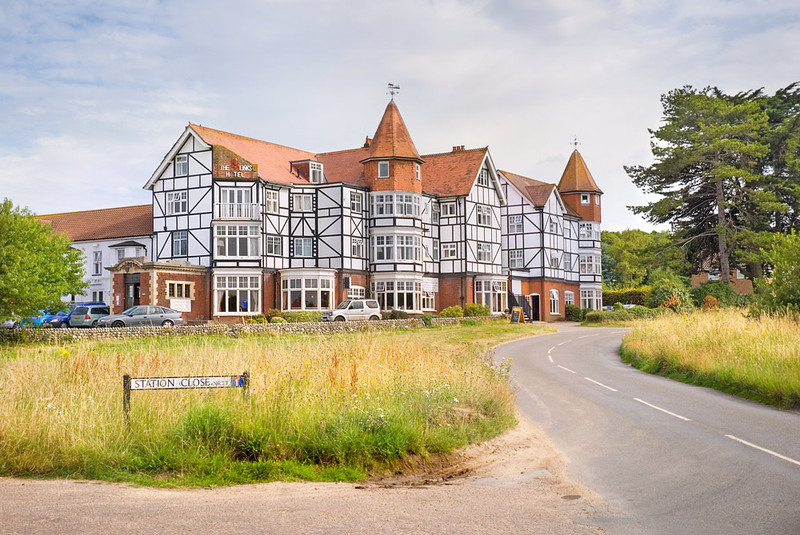 Accommodation in West Runton is available in some of the village cottages or the Laburnam Caravan park on the coast. Alternatively you have the Links Hotel near the railway station in the beautiful surroundings of Incleborough Hill.